TMP Group are authorised stockists of Duralock post and rail fencing which, with timber becoming more and more scarce, is a smart choice for boundary and rural fencing in Australia. 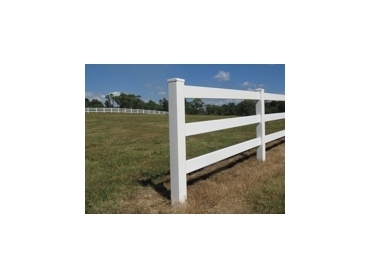 Whilst Duralock post and rail fencing looks like timber, it is actually a unique PVC formula thta requires no painting, maintenance, and will not discolour or become brittle. It is also resistant to termites. Widely used as a rural fence for horses and other animals, Duralok post and rail fencing has been designed to flex on impact, thus minimising risk and injury to the animal. It's simplistic design makes it simple to install for the DIY inclined.